A significant portion of your education at North Park will involve taking courses in the Core Curriculum. North Park has a rich liberal arts tradition and embraces the value of a broad education across many disciplines. Our Core Curriculum addresses the breadth of human engagement with the natural world, the arts, culture, and Christian faith. This brief guide will help you think beyond the Core Curriculum “checklist.” These courses are not something to “get out of the way.” Instead, they offer varied, fascinating ways to explore your educational possibilities, discover and pursue your profession and vocation, and make your mind nimble and capable in drawing connections between different facets of your own being. Your future employers are not simply looking for specialists; they want people who are adaptive, creative, and critical thinkers prepared to transfer their skills to new and unexpected contexts. Studies consistently show that to achieve long-term career success, employers recommend the balance of broad knowledge and specific skills offered by programs such as the Core Curriculum. The future job market and your own life interests are unpredictable. Aim to develop an ambidextrous mind so that you can flourish in any setting. 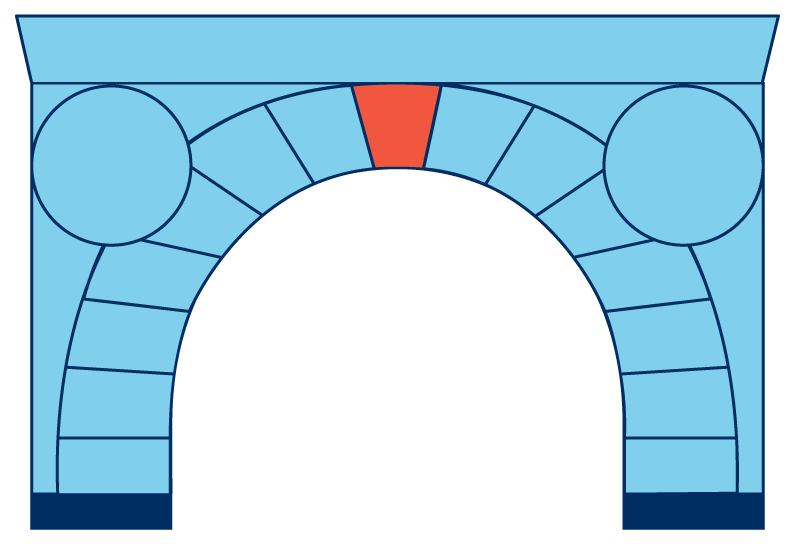 We symbolize the Core Curriculum with an arch because the Core, like an arch, serves as a powerful support for your complete education. 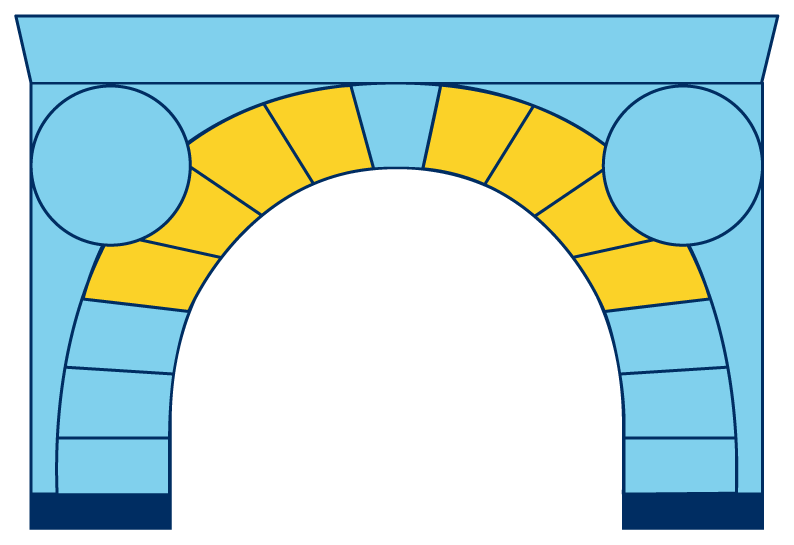 The arch also symbolizes the portal through which you pass to a future career as well as toward personal and social transformation. Our arch is based on a Chicago landmark designed by the famous architect Louis Sullivan. Sullivan’s arch was completed in 1893, the same year as North Park’s first graduating class. Once the grand entrance to the Chicago Stock Exchange, the Sullivan arch is now located outside the Art Institute as a freestanding work of art, symbolizing the breadth of human culture from arts to science to commerce. Our Core Curriculum Arch will help you envision the wholeness and integrity of your North Park education. In addition to the Cornerstone Seminar, you’ll complete introductory courses in the Bible, modern language, mathematics, health, and global histories. You will take most or all of these courses in your first 3 semesters to give you a broad academic base for college. During the middle years of your studies, you will explore how to find your passion and advance your knowledge of the world. These courses will help you see the connections across disciplines and within your majors. Think of them as opportunities to explore new areas of knowledge, consider a double major, or simply learn a different angle on a problem that interests you. The subjects covered address the complexity of contemporary life and include courses in the life sciences, physical sciences, culture and society, Christian life and thought, the arts, and ethical reasoning. As juniors and seniors, you will be thinking about how to apply what you’ve learned to what comes next: a job, graduate or professional school, or another adventure. The Core Curriculum thus includes the Keystone Seminar [to be taken junior year]. 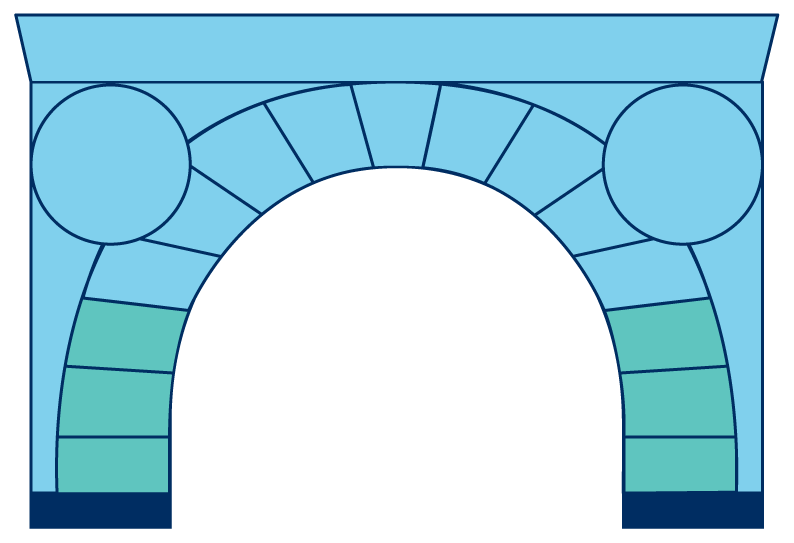 Like the architectural keystone which links parts of an arch together, this course connects with what you’ve learned in your other core courses and helps you integrate different parts of your education to a life of service. These seminars ask, “How should I live responsibly in the world?” They also utilize community engagement in areas of intercultural dialogue, social justice, environmental stewardship, or human wellness. North Park’s Core Curriculum has a writing and research curriculum built right into it. Regardless of your major, integrating writing and research into your education not only helps you learn the material better but prepares you for your future career. In national surveys, employers consistently rank effective written communication, critical thinking, and problem-solving as the most important skills they want from college graduates. We have embedded writing and research instruction in key places throughout the Core Curriculum. This writing curriculum begins in Cornerstone, continues with 4sh of Writing Intensive (WI) coursework and 4sh of Writing & Research (WR) coursework, and concludes with your Keystone seminar. WI and WR courses can be found among either courses within the Core Curriculum or courses in your major. The outline and requirements below are tools to help you understand and plan your Core Curriculum courses and to help faculty guide and assist you in that process. You, as the student, are ultimately responsible for managing your own course selections, registration, and staying on top of the credits needed for graduation. However, faculty and staff advisors are here throughout the year to help you in your planning. Please consider seeing your advisor periodically throughout the school year, but especially in the weeks before Fall and Spring registration. For a complete list of courses and course descriptions, please review the University academic catalog. Should I get all my Core Curriculum classes out of the way as soon as possible? No. The program is designed to be taken through your first three years. Particular majors also require that you spread out some of your Core Curriculum courses, so that you can take introductory courses in the first year of your major area of study. That said, all students should register to complete the Foundations courses within their first three semesters. Timing the rest of your Core Curriculum can be customized to your major. When in doubt, ask your advisor. What is the purpose of the Core Seminars? Not to be confused with the overall Core Curriculum, the specific Core seminars, Cornerstone (CORE 1000) and Keystone (CORE 3000), are the bookends of your liberal arts education at North Park. They connect deeply with the educational philosophy of North Park as a Christian and liberal arts-based university. They integrate different academic disciplines, intercultural source materials, and Catalyst experiences in Chicago. These courses teach writing ranging from preliminary college composition skills in CORNERSTONE to more advanced argumentation and library research skills in KEYSTONE. If these courses seem different than other courses in your college career, that is because they are designed to be! **Note that CORE 1000 is a pre-requisite for other Core Curriculum courses. 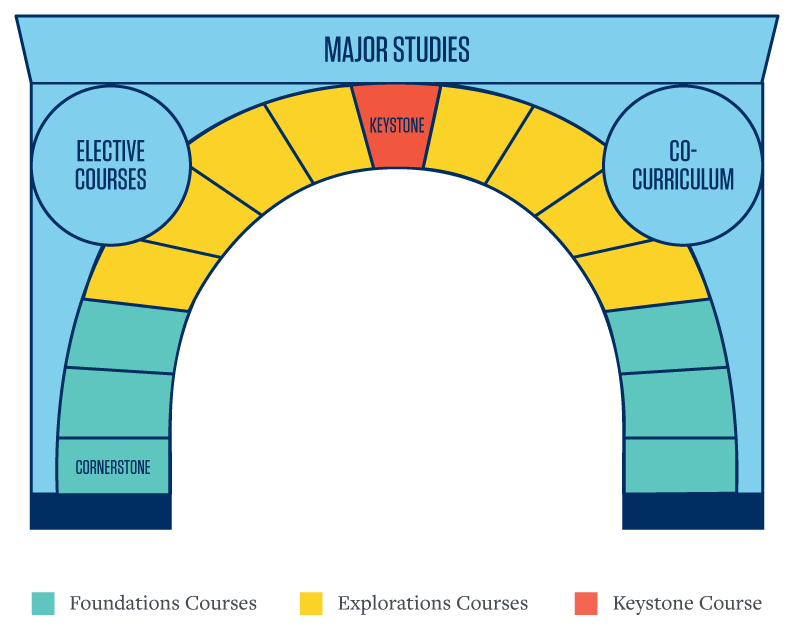 When should I register for the CORE courses, Cornerstone and Keystone? You should take Cornerstone in your freshman year, usually in the fall, but you can also take it in the spring. Note that CORE 1000 is a pre-requisite for other General Education courses. Ideally, you should plan to complete Core 3000 (Keystone) in the Fall or Spring of your junior year. However, you are allowed to take it in your senior year if necessary. ** NOTE: Many Keystone courses are cross-listed in specific departments. Make sure when you register for your Keystone course, you are registering under the CORE designation. You won’t be able to change it retroactively. Also note that you may not register for more than one CORE 3000 class. Which Core Curriculum courses should I take first? Register for courses drawn from the “Foundations” section of the Core Curriculum. It is generally advisable to take Quantitative Reasoning and Modern Languages as early as possible in your college career. It’s also a good idea to take BTS 1850, Introduction to the Bible, in your first year, since it is foundational to the upper level Christian Life and Thought course that is also required. Is everyone required to take a CORE 3000 class? Almost all majors require their students to take a CORE 3000 class. There are a few exceptions where the major offers a different class that teaches similar learning outcomes. The only programs that do not require you take Keystone are Athletic Training, BS degree in Business & Economics, Education, Music (BM, BMMW and BME degrees) and Nursing. ** Note that if you begin in a major that does not require Keystone and then switch to a major that does, you will need to take a Keystone Class to graduate. What is the difference between Keystone and my Capstone course? Do I have to take an “Art” class to fulfill my “Aesthetic Interpretation and the Arts” requirement? No. There are a variety of courses that work, including English, Creative Writing, Theatre, Music, and Art classes. Must I take the “Ethical Reasoning” course in my major, or can I choose any one on the list? For most majors, you do not need to choose the “Ethical Reasoning” course offered by the department of your major. There are some exceptions, such as Business and Nursing majors, who should take the corresponding “Business Ethics” and “Health Care Ethics” courses. In general, a better approach is to consider the topics covered and choose one in light of your interests or to complement your major area of studies. A philosophy course can give a new perspective to a science major; a media ethics course can provide new insights to a psychology major. You may also take multiple ethical reasoning courses, which can expand how you engage the world around you and how you can improve it. When should I take my WI and WR (writing intensive and research writing) courses? As noted above, the WI and WR courses are part of the overall liberal arts curriculum. Many of these courses are offered within your major, though you do not have to take them in your major. There is flexibility in when you fulfill the writing course requirements, but it’s best to stagger these courses over several years so that your writing continues to develop alongside the rest of your learning. Following the completion of CORE 1000 [Cornerstone], you should take a WI designated course. The WR designated course can be taken sophomore year. CORE 3000 [Keystone] is best taken in your junior year. What if I’m not sure which science Core Curriculum course to take? There are some science courses that are designed to fulfill Core Curriculum requirements for non-science majors and some that are better for students who are majoring in the sciences (based on the major requirements.) Be sure to register for the science Core Curriculum course appropriate for your major and the year of your academic career. Ask your advisor which is best for your interests. Are Core Curriculum courses 4 credits or 2 credits? Some Core Curriculum courses run a full semester and are worth 4 hours of credit; some are 2 credit Quad classes which meet for half a semester. Pay attention to whether the course you’re registered for is 4 or 2 credits, and if it meets in A Quad, B Quad, or the full semester. ** Note that the requirement for Writing Intensive and Writing and Research courses is 8sh total (4sh for WI and 4sh for WR). Some majors separate these requirements into TWO 2sh courses. You would have to take both courses to fulfill the 4sh requirement. Which courses will not transfer into North Park? Many General Education or Core Curriculum courses from other universities transfer into North Park; however, there are some exceptions. There is no transfer equivalent for CORE 3000 (Keystone). These seminars are NPU specific. In addition, while some credits for Writing Intensive and Writing and Research do transfer in, not all do. It is important that if you want transfer credit for these classes, you file a petition that includes a detailed syllabus from the original class. Note that it is the student’s responsibility to check in on their transfer credits to see which courses successfully transfer. Do not wait until your senior year to check on the status of your transfer credits! You may have to stay an additional semester if there are missing requirements in your transcript. Can I test out of the foreign language requirement using any language? It is a foreign language requirement, so you cannot test out of the language used in your high school studies. For example, if you are from Sweden and primarily used Swedish in your high school studies, you cannot test out of Swedish. You would instead test out of English using your ESL placement test. If North Park does not offer the language, please check with the Chair of the Department of Foreign Languages who can administer a correspondence test through Brigham Young University. Please note that North Park University cannot cover the costs for correspondence tests. Can I test out of Language 1010 and 1020 and get credit? No. Even though you can test out of Language 1010 and 1020 and fulfill the modern language requirement, you will not earn any credits toward graduation. If I transferred into NPU and want to transfer in “Foundations of Marketing” and/or “Principles of Management and Leadership” to meet Business requirements, do I still need to fulfill the WI and WR Core Curriculum requirements? Yes, you do. You will either need to take additional WI and WR courses or provide evidence that you are transferring in courses that meet the outcomes for the WI and WR requirements. If you want to petition, please talk to your advisor and start the process as soon as you transfer.